M.G. (User69) added a comment to T37616: I can't find a way to delete my account. M.G. (User69) added a comment to T55119: Confusion on Muting Nodes + Internal Links should have is_enabled field. M.G. (User69) created T55119: Confusion on Muting Nodes + Internal Links should have is_enabled field. M.G. (User69) updated the task description for T53435: Face-based Vertex Group Select/Deselect Option Suggestion. M.G. (User69) added a comment to T53436: Vertex Group Select/Deselect fails after mesh was extruded and vertex group was again assigned. M.G. (User69) updated the task description for T53436: Vertex Group Select/Deselect fails after mesh was extruded and vertex group was again assigned. M.G. (User69) updated the task description for T53439: There's no option in "prereference settings" for specifying the default compression method on image saving. M.G. (User69) created T53439: There's no option in "prereference settings" for specifying the default compression method on image saving. M.G. (User69) created T53436: Vertex Group Select/Deselect fails after mesh was extruded and vertex group was again assigned. M.G. (User69) created T53435: Face-based Vertex Group Select/Deselect Option Suggestion. M.G. 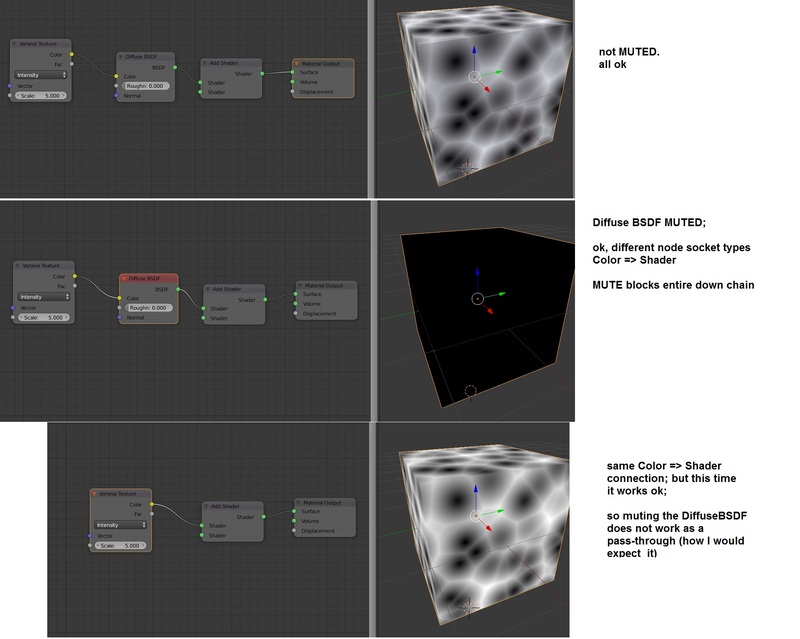 (User69) added a comment to T51227: Blender v2.78c Weight Paint fails when Mirror Modifier is active on Mesh. it is a bug. cause either the possibility of editing has to be restricted, so that the system gives an error message when painting on such a side is "not supported". Or painting on that "virtual mirror side" must be implemented, cause for that side there is a vgroup "Bone_R" but the paint tool is not working on that. Internally a temporary copy of that data needs to be present for such situations. Users will always again find this as a problem, if there's no restriction and no solution for it. It is simply inconsistent to say, that this is no error. It is an error. M.G. (User69) updated the task description for T51227: Blender v2.78c Weight Paint fails when Mirror Modifier is active on Mesh. M.G. 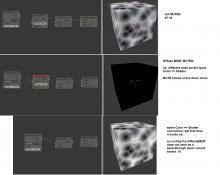 (User69) created T51227: Blender v2.78c Weight Paint fails when Mirror Modifier is active on Mesh.